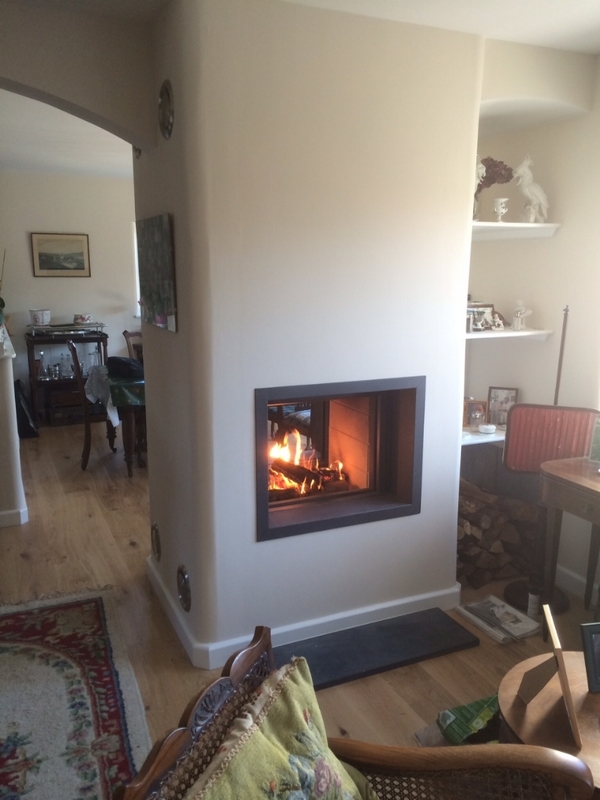 Stuv 21/75 doublesided woodburner installation wood burning stove installation from Kernow Fires. 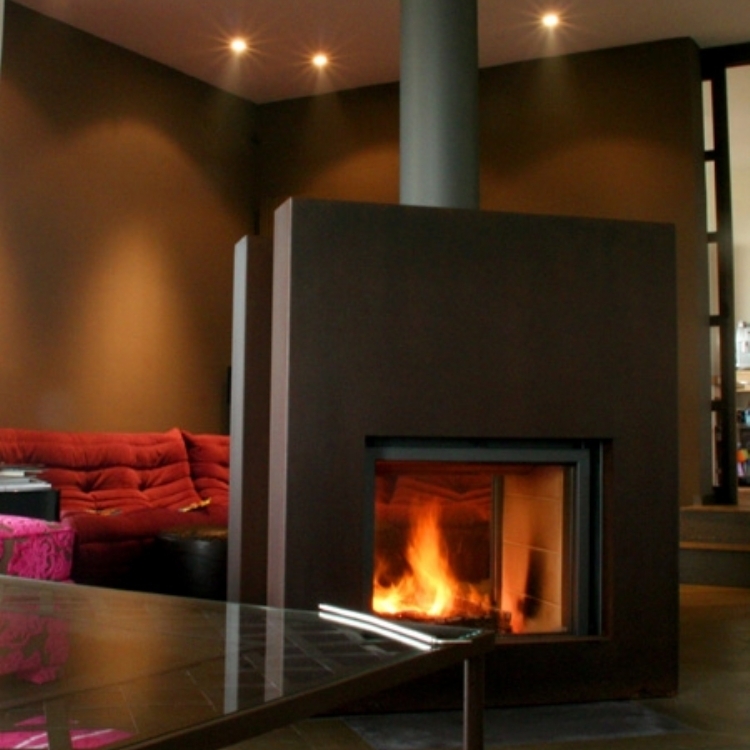 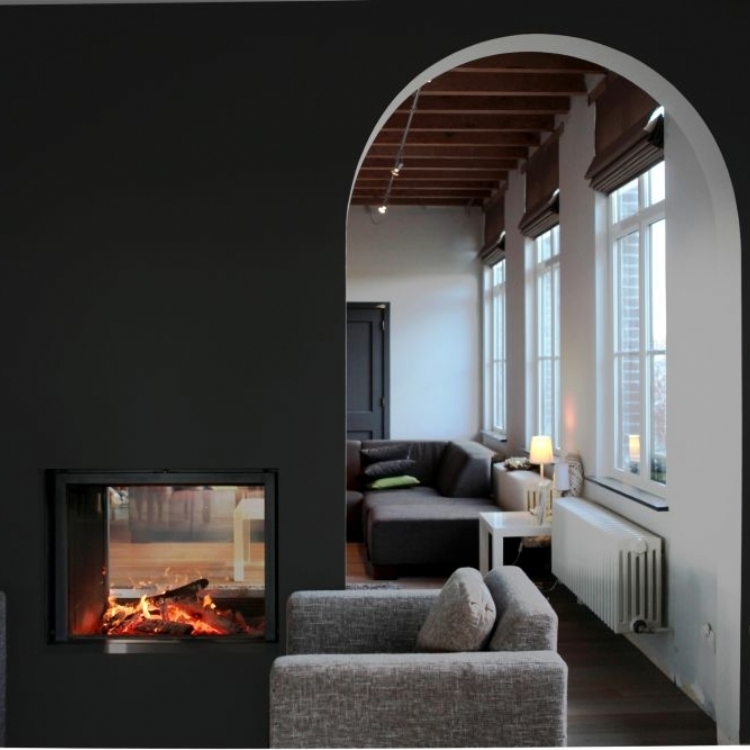 Customer Aspirations: To modify a traditional fireplace into a double sided more contemporary fireplace. 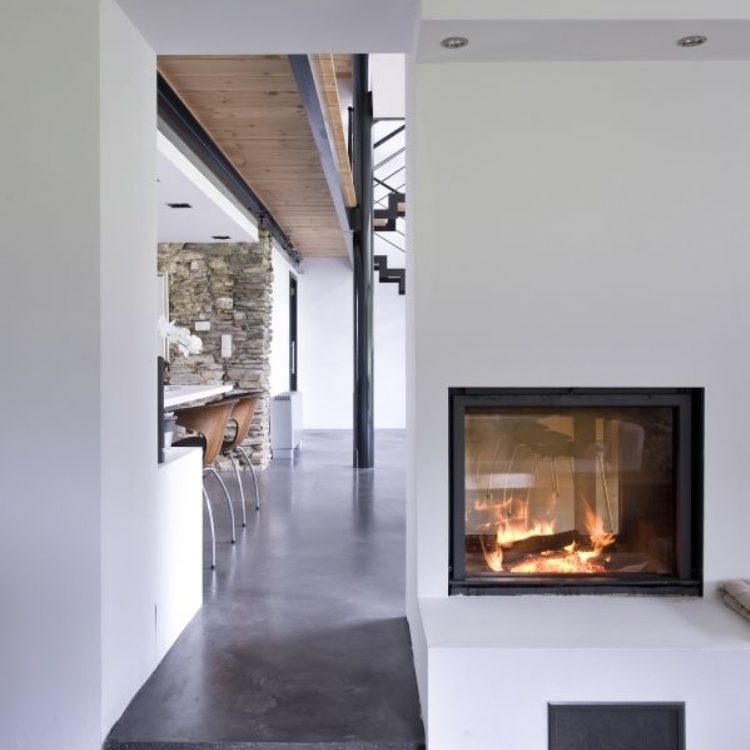 Special Requiremets: To create enough heat to warm both rooms comfortably within the restrictions of the original fireplace. 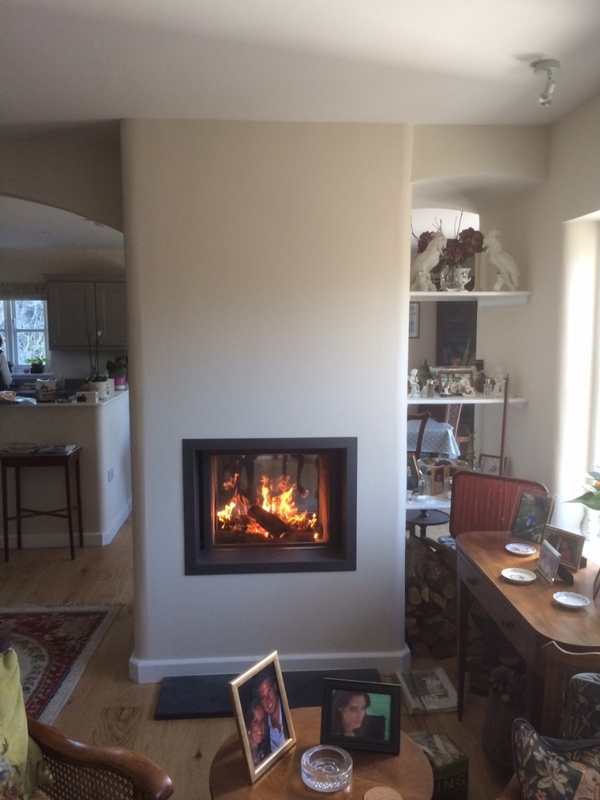 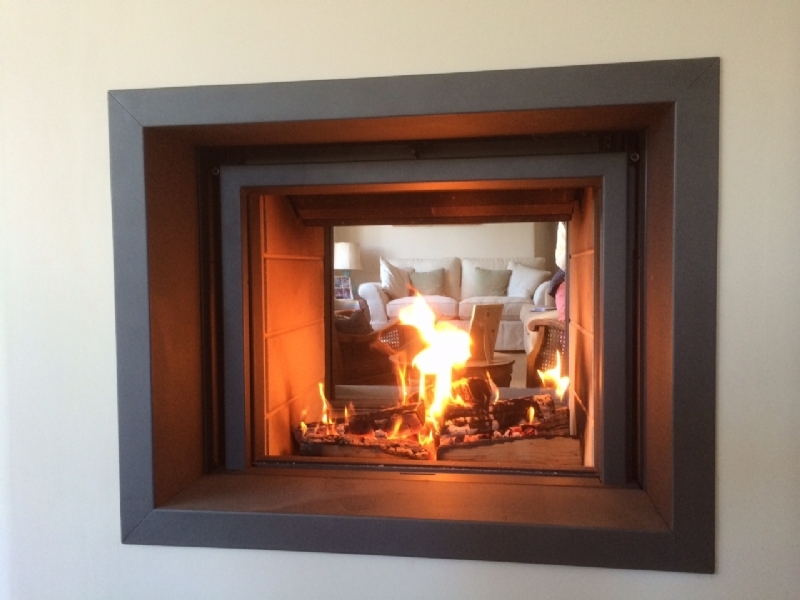 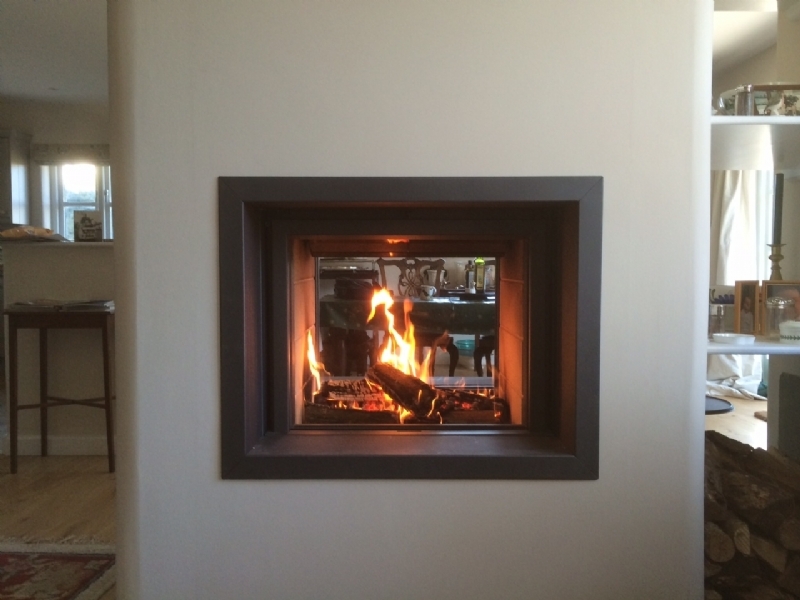 The Stuv 21/75 double sided creates a clean modern solution in this traditional home in Cornwall. 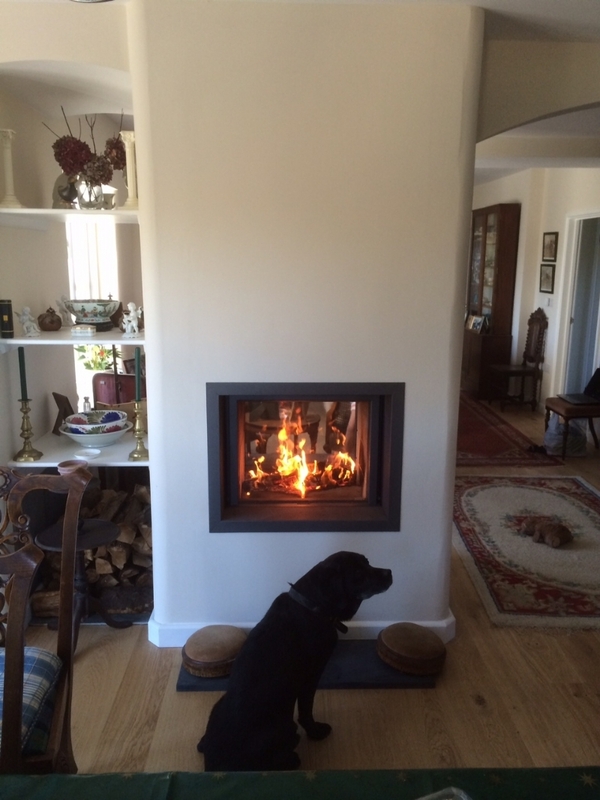 Enjoyed by all the family including the dog it really was the perfect solution for this property and work well at keeping everyone warm.